Party Props, Party Props Hire, Party Planners, Party Props Stock. prophire have superb party props and can install amazing theme party props for fabulous parties. 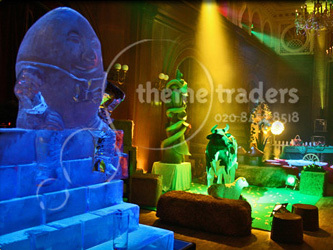 Visit by appointment and view the largest party props showroom and party props stock in Europe. .prophire props stock can be viewed on line. Any bespoke and custom party props can be made and designed to brief in-house. Ideal props for corporate events, parties, theme parties and theming. prophire offer a perfect party planning and wedding planning service with party props for every style of party and event. prophire have huge quantities of matching and themed fabulous quality props. View our Party Props image database.